Expanded Functions Dental Assistant (EFDA) programs are designed to train Certified Dental Assistants and Registered Dental Hygienists in the art of Restorative Dentistry. Not all dental offices have a professional on staff with EFDA qualifications, but we are very fortunate to have Michelle Webber at Seasons of Smiles Dental. She strives to make her patients as comfortable as possible. Her goal is for her patients to love their smile as much as she does and she goes the extra mile to ensure that outcome. The additional education attained enables EFDA’s to perform duties including direct patient care, which may be legally delegated by a licensed dentist. Even though Michelle does not require an assistant when completing restorative work, Dr. Medina enjoys being in the operatory to work along side Michelle. Dr. Medina feels that the synergy of this team effort provides the best results. It most certainly takes an artist’s eye, like Michelle’s, to create the perfect smile for each individual who undergoes restorative care. Even though EFDA has been utilized in other states, in 2007 the state of Maine encouraged assistants and hygienists to become EFDA certified. What did Michelle have to do to achieve the professional title of Expanded Functions Dental Assistant? First, she had to attain her Dental Assisting National Board (DANB) Certified Dental Assistant (CDA) certification. 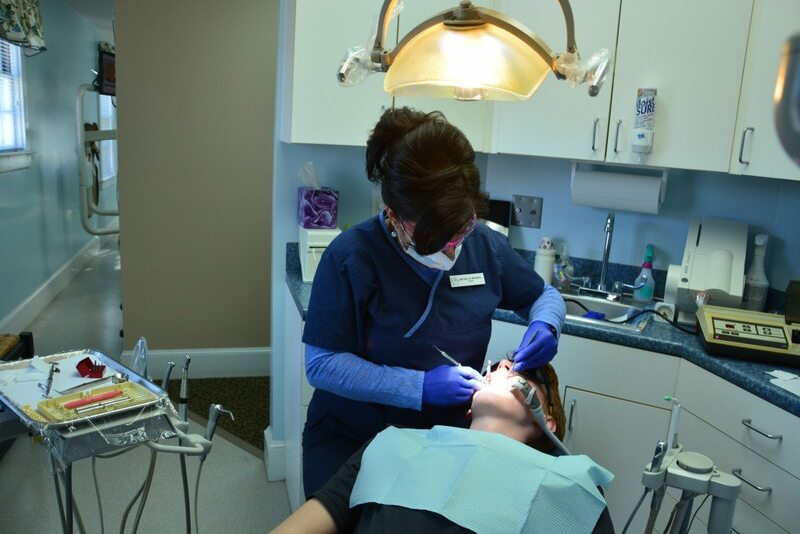 After assisting for 16 years, Michelle pursued her Expanded Functions Dental Assistant Certification in 2010. She had to successfully complete a formal program in EFDA, approved by the Maine Board, at a CODA-accredited program including rigorous testing, 260 hours of required practice in placing fillings, coronal polishings, sealants and temporizing crowns and bridges. She also had to successfully complete, with a passing grade of at least 90 percent, the Maine Board of Dental Examiners’ jurisprudence exam, AND pass the certification from the Maine Board of Dental Examiners. She graduated from Eastern Maine Community College in 2011. Michelle keeps her license current by adhering to the 22 required hours of continuing education each year to stay informed about the latest technology. None of these steps are easy and require a dedication of passion, time and finances. Michelle has carried this dedication forward to her patients with her deliberate, meticulous attention to detail without rushing. Seasons of Smiles Dental is very happy to be able to offer patients this added level of care. If you know you are in need of restorative care, you will be in the best hands with our EFDA, Michelle.